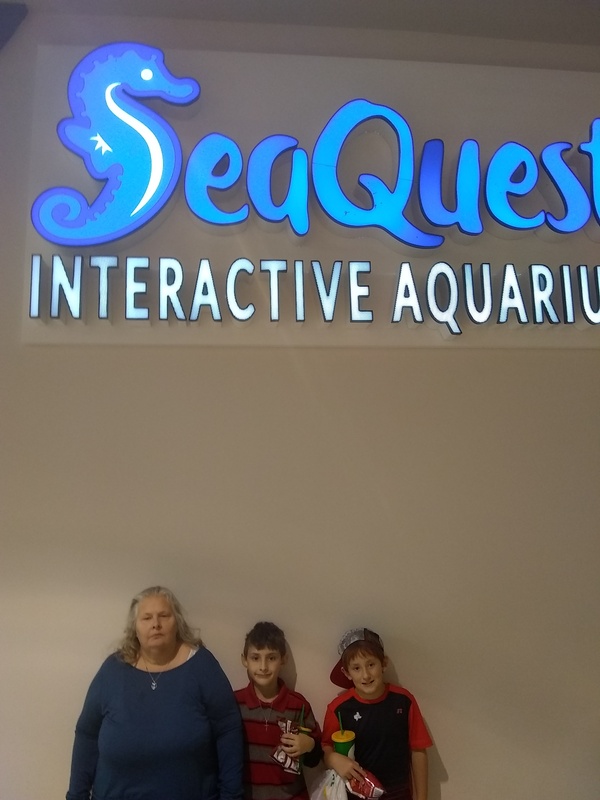 The thing was we hadn’t been able to visit SeaQuest Interactive Aquarium yet as I was saving the tickets I had received in exchange for a blog post. I wanted to use our visit for a Birthday Party for Charlie as his Birthday is December 16th. We hadn’t ever been able to have a party at a Venue only at the local park. Yesterday morning I woke Charlie up and asked him to get dressed as we needed to pick up Aiden. I texted Aiden’s mom to let her know I would be picking him up within the hour. She texted me back to ask for the name of SeaQuest Interactive Aquarium wee would be visiting so they could look it up online as Aiden wanted to check it out. All I can say after being inside is SeaQuest Interactive Aquarium Is Hard To Believe. I sent Tammy the link to SeaQuest Interactive Aquarium and let her know if Aiden had changed his mind and didn’t want to come that it would be okay. As one of Charlie's other friends wasn’t going to be able to come. So we would have just done a family party. Before I could finish typing Tammy texted me back and said Aiden was waiting for us at the front door. I told David and Charlie to hurry and get dressed so we could head out. Off we headed to Rigmar Mall in Fort Worth. I was so surprised as we drove how quite Charlie and Aiden was. I never heard are we there yet, or how much longer till we get there as it is about 30 minutes from our home. All, I could hear was I wonder if they have… Or I wonder if we will see. Or will we be able to do…. I loved hearing their questions and hearing everything they wanted to do. We got to the Mall and both David and I were surprised there wasn’t a sign pointing us to SeaQuest Interactive Aquarium. We weren’t sure where it was we went to the Food Court and found a Mall Directory. I was able to locate where SeaQuest Interactive Aquarium through it and it wasn’t hard to find at all. We passed the kids play area and Santa’s House and neither of the boys as they wanted to stop as they tried to get right SeaQuest Interactive Aquarium. Once we arrived at SeaQuest Interactive Aquarium and I showed them my order number which I had on my phone and they handed me a stack of tokens and sent us inside. I wish the lady at the register had explained to us what the tokens were for and where all they could be used at. Only she didn’t as there were other people behind us. Now, before you ask me if I asked her what the tokens were for and the answer was no. I wasn’t able to as David and Aiden kept asking me to hurry up they couldn’t wait to get inside. In we went and let me tell you as soon as they walked into the exhibit area I couldn’t stop them they were everywhere trying to see everything all at one time. We went through the whole exhibit as a family. Once we saw that it was a complete circle David and I let the boy's wandering on there own and we went back towards the front as I wanted to go inside the Bird Avery. I loved how the birds will fly down to get food from you. If you wish to feed the animals, you will need the tokens I was given. Each animal cost 2 tokens and there is enough food in a cup that two people can share. But each animal eats a different menu so you have to get food at each attraction that you want to feed the animals at. Charlie chose to feed the Alligator and Aiden feed the Sting Ray and David did the same animal Aiden did. Now, mind you I might have the wrong names but its hard to keep up with the animals when your chasing kids around. Now, you might ask if I feed an animal and, no, I didn’t I used my tokens in the Gift Shop and purchased a shot glass to remember our trip by. Now, this is something I would like to let you know about the tokens you purchase the more you purchase, the cheaper they are. Plus, you can use them to purchase snacks for your family or use them inside the Gift Shop. As one token is worth $2.oo in the Gift Shop. SeaQuest Interactive Aquarium offers a completely interactive, hands-on learning experience for the entire family. Designed as a ‘Quest of Edutainment’, visitors to SeaQuest will journey through realistically themed exhibits where they will connect with the animals through various hands-on encounters such as feeding sharks, stingrays, capybara, giant Sulcata tortoises, large exotic birds species, and thousands of other creatures along the way. Anyone in search of a more daring experience can enjoy walk-in bird aviaries, feeding caiman alligators or snorkeling in their giant snorkel tank filled with reef sharks, stingrays and hundreds of other tropical fish. 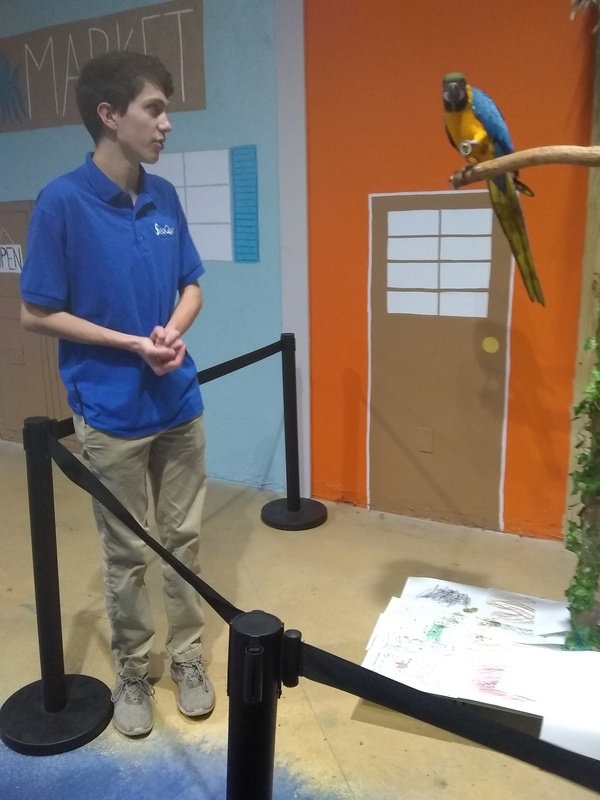 Sea Quest Interactive Aquarium also offers an exclusive private event venue, which is ideal for school field trips, birthday parties, and private events. Explore, discover and learn more about the world we live in, as well as create lasting memories for the entire family and kids of all ages at SeaQuest Interactive Aquariums. Can you believe Charlie, David and Aiden want to come back next year during Spring Break and Swim with the Stingrays. Now, before you ask me if I am going to as well and the answer to that question is no, way no, how… Also, before you ask there are “SNAKE’s” and no, I didn’t go visit them I let the boys, and I sat out in the hall as I am afraid of them. Although, I did watch the Bird show and would have stayed all day watching Ariel as she was so pretty and I loved seeing her dance. I liked knowing they do up to 4 shows a day and use different birds. I just wish I had been able to stay and watch another show. But by then I had some boys who were starving. 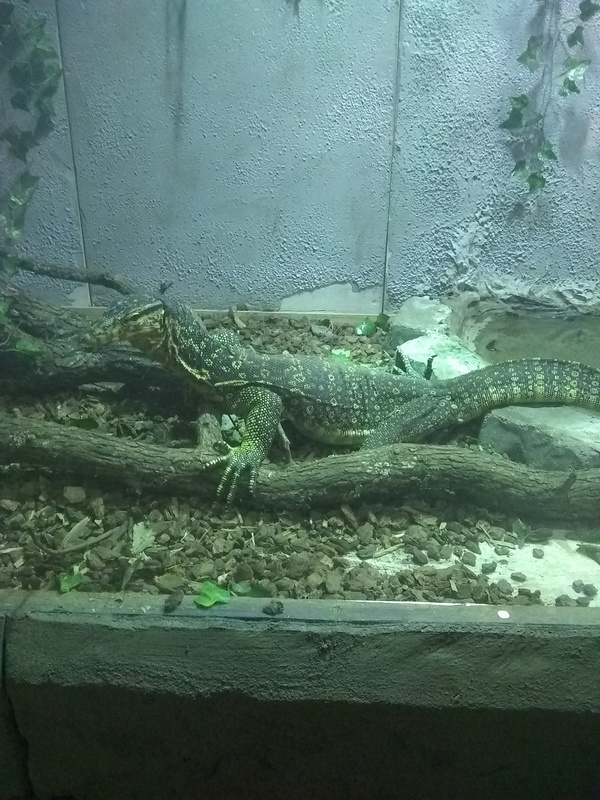 So the next time we attend I will be going early in the morning and then having lunch in the Food Court then returning to the Aquarium which with the tickets you can do. I will not be able to this year but with them bringing in new things all the time I may look into an Annual Membership for our family as we would be able to go all year. Especially if we decide to Homeschool my niece or nephew as there are Stem Activities we can do and a Montessori set up for Homeschooling Families. I liked knowing they host Field Trips and I can’t wait to take Charlie's classroom if the principal say’s its okay. I have a question have you been or would you like to visit? If so why would you want to go?